BYD is a Chinese manufacturer of tier one solar panels with 12 year product warranties and 25 year performance warranties. They do not have an Australian office and so the company that imports the panels into Australia is responsible for their warranties. BYD is a mid sized manufacturer of solar panels and produced approximately 1.5 gigawatts in 2016, well below the world's largest manufacturer, Jinko Solar, which produced around 6.5 gigawatts that year. 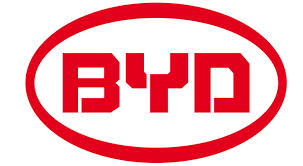 BYD stands for Build Your Dreams and was founded in 1995. Its headquarters are in Shenzhen, a city of 12 million people immediately north of Hong Kong. 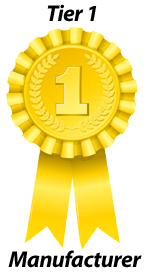 It is a huge company and solar panel manufacture is only a small part of what it does. Currently it has around 220,000 employees and a market capitalisation of $22 billion. BYD is the world's largest producer of rechargeable batteries and also the world's largest manufacturer of electric cars. In 2016 they sold over 100,000 while Tesla only sold around 76,000. At the moment I'd definitely take a Tesla electric car over a BYD one, but maybe in the future they'll change my mind on this. In addition to batteries and electric cars, they also produce electric buses, LED lights, trains, and monorails. While BYD has been producing solar panels for a number of years they have only recently started to develop a significant presence in Australia. BYD sells B-Box home battery systems in Australia and I wrote about them here. The "Download Center" on the BYD PV website doesn't actually download their solar panels datasheets. But by going to this page and clicking on the pictures of solar panels I was able to download datasheets. Navigating the BYD website is like playing an old fashioned point and click adventure game. By that I mean it is severely lacking in logic. The datasheet for the BYD P6-36 Series-3BB panels says it has 72 cells and the size and weight that is given is that of a 72 cell panel. However, via a process I learned from Sesame Street called counting, I determined that the photograph of the solar cell on the datasheet only has 60 cells and so does not match its description. Other BYD datasheets may have correct illustrations, but I can't be certain. Currently, BYD only appears to produce polysilicon panels, which are also known as multisilicon panels. Polysilicon has the advantage of being slightly cheaper than monosilicon, but it is not as efficient. As high efficiency is often not required, polysilicon is definitely suitable for use in Australia. The efficiency of BYD panels ranges as low as 14.1% for some of their smaller, 48 cell panels, up to 16% for their higher efficiency 60 and 72 cell panels. This is below average for modern panels and makes them less suitable when roof space is limited. Unfortunately, at the top of their datasheets, BYD gives the cell efficiency and not the panel efficiency. Because no one ever buys a solar panel and then breaks it up to use the individual cells, giving the cell efficiency rather than the lower panel efficiency is misleading. BYD produces a double glass panel which has solar cells between two layers of glass instead of having a plastic backsheet. Their datasheet says, "Longer service time up to 40 years" but the warranty is the same. Their efficiency is similar to their other panels and ranges from 15.1% to 16%. "The product's installation in a mobile or marine environment." They do not state what they consider to be a marine environment. Hopefully this will be removed from their warranty or at least qualified. BYD panels are tier one, which means they are considered reliable by large financial organisations when used in large solar projects and so they should be very unlikely to have problems when installed residentially. Because BYD does not have an office in Australia the company that imports the panels will be responsible for their warranty. While I would not pay a premium for them, I am happy with accepting BYD panels as a low cost and very likely reliable option. The panels seem to be producing good power which is often more than our consumption on the day but this is not reflected in the bills we continue to receive. Very broad, smooth and solid generation with no jittery peaks and troughs as the weather changes over the course of days. Consistent results that aren’t finicky are this panel’s forte. Excellent weak/low light performance - these panels eke the most out of rainy or dark days compared to nearby systems. Impressive all year round - generous winter outputs right when you need them most in the solar low-point months were a very pleasant surprise indeed.